Information about how to set up & configure Racer Alerts. In order to get into Racer Alerts! you'll need to be logged into the MyUNOH portal. The Racer Alerts! link is found underneath the Quick Links group. This will take you to https://unoh.regroup.com/ and log you into your profile. You may also use the https://unoh.regroup.com/ URL to go directly to Racer Alerts! but you'll need to log into the system using your UNOH username and password. Once you have logged into the system, you'll be able to manage your messaging preferences. And depending upon your registration, you may have multiple e-mail addresses and phone numbers listed on the landing page. You may change these as appropriate for your situation. 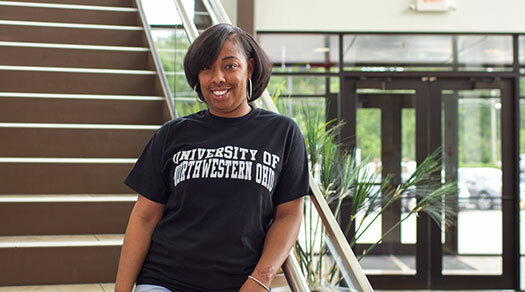 Your UNOH e-mail address will always be your primary e-mail address but you may add additional ones by using the "Add another email address" link. Enter the secondary e-mail address then press the Enter key. The address will be placed underneath your primary one. Click on "Send Confirmation Message". Then go into the inbox of the account you just added and click on the confirmation link to activate this account within Racer Alerts! The account will not be used unless it is first confirmed. Once confirmed, you may check the "Send Email Here" box to send alerts to this account in addition to your UNOH e-mail account. You may add one or more phone numbers to your account in order to receive text message and voice message alerts. To add additional phone numbers to your account, click on the "Add new Phone Number" link. Enter the number and its type (Home, Work, etc.) as well as checking the box "Text" or "Voice" for the type of messages it may receive. Notice in this example that "Voice" is checked meaning that a voice call will be placed to that phone and the emergency message will be spoken to the receiver of the call. You may also remove any unused phone numbers by clicking on the trash can icon beside the number you wish to remove. Racer Alerts! is already set up to send out NOAA tornado warning alerts whenever NOAA triggers a tornado warning for Allen County, Ohio, which is where the UNOH campus is located. In addition to this, NOAA will trigger the outdoor warning sirens indicating that everyone should immediately take shelter in a designated tornado shelter during the duration of a tornado warning. You may also set other NOAA weather alerts that you wish to receive such as thunder storm warnings and winter storm advisories, among many others. To do so you must enter the street address where you live along with the city, state, and ZIP code for the location you wish to receive alerts for then "Save" it. After you save your address, click the checkbox to "Enable Weather Alerts". When you do this you'll see a dropdown appear where you can pick and choose among the many alerts that are sent by the NOAA weather system. After you've selected the ones you'd like to receive, click on the "Save" button just beneath the "Weather Events" list. You should now receive both the Allen County tornado warning alerts in addition to the ones you have set up in your profile. A new feature of Racer Alerts! is that you will be able to pick and choose which UNOH offices and organizations you would like to subscribe to in order to get timely information from them. When you click on the "Groups" tab you'll see the current list of available groups you may join by clicking the "Join" link. Note that you may not unsubscribe from the emergency message system (EMS) groups. This list will grow as UNOH continues to add groups so you may want to check back from time to time to see if there are new ones you may be interested in subscribing to. You may leave groups by clicking on the elipse icon on the right side of the group you wish to leave then click “Leave Group” when it appears. You may turn text notifications on or off for your groups by visiting the "Group Notifications" tab. By doing so you will see the list of your current subscriptions. By clicking on the drop-down you can choose "On" or "Off" then click the "Save" button. This ONLY controls the text messages that are sent out and does not affect the sending of e-mail and voice messages if you have chosen to receive those. ﻿Be sure to click the "Save" button before leaving this page to save your preferences. *** For your own protection, UNOH asks that you do not turn off the EMS text notifications unless your cell phone cannot receive them. If you should turn them off, you may put yourself at risk should you not receive a timely warning of a campus emergency.